The Key Shop is responsible for tracking keys throughout campus as well as cutting and assigning new ones. In addition, we maintain key systems and inventory records. Being a full service Locksmith Shop, we generate replacement keys for file cabinets, desks and other locking devices. The Key Shop sets up new key systems for contractors and departmental re-keys. The Key shop will only issue keys from 8 A.M. - 4 P.M.
Before requesting any keys on FSU Campus, we recommend you take a moment to review the Florida State University Key Security Policy to ensure you are fully aware of all the guidelines and responsibilities associated with it. Click here to view the policy. All FSU Employees, Faculty or Students MUST provide their EMPLOYEE ID when picking up keys. If you know your EMPLOYEE ID, please click here to submit an online key request. If you need assistance locating your EMPLID, please click here. Your Employee ID (EMPLID) is a unique, nine-digit number issued to all Prospective Students, Admitted or Current Students, Faculty and Staff, and Sponsored Guests of Florida State University. All contractors and Facilities staff MUST have their own FSU card with name and photo on it before any access will be issued on campus. 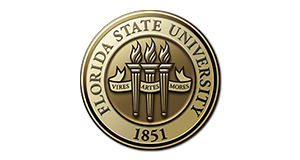 If you are a Facilities employee and already have an FSU card, please click here to submit an online request. If you do NOT have an FSU Card, please click here to complete the Facilities Employee & Contractor Request form. Please print the completed form and take it to the Facilities Keyshop directly PRIOR to going to the FSU Card Center. All FAMU/FSU Dual Enrollment Students MUST provide their EMPLOYEE ID when picking up keys. If you have an active FAMU ID Card, please click here to enter an online key request. Please contact the Facilities Keyshop directly at 850-644-9612 for further direction.